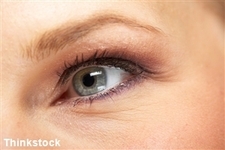 The Cornea Research Foundation of America is urging people to come forward to help test a product designed to combat post-operative surgery dry eyes, reports the Indianapolis Star. Sixty people who have had LASIK laser eye surgery in both eyes and are between the ages of 21 and 50 are needed to test the use of investigational eye drops. The foundation has thus far participated in 70 clinical and investigative studies for the US Food and Drug Administration and have published over 90 papers and manuscripts. Prolacria"s Inspire eye drops to treat the symptoms of dry eye recently underwent clinical trials but were unsuccessful in meeting key goals. Laser surgery can temporarily cause dry eye in the recovery period as it reduces the amount of sensation felt by the cornea, reducing blinking and thus reducing the amount of lubrication. The result is redness, itchiness and grittiness, especially when waking up in the morning.